I read an interesting article in last Saturday’s Wall Street Journal about repulsive foods. The author described some items that would make weight loss easy, including hákarl, which is decomposed, dried shark; and casu marzu or maggot cheese. Apparently, this cheese is made by adding fly larvae to overly fermented sheep cheese and letting the worms’ digestive enzymes transform the final product. Unfortunately, the worms become a live, wriggling part of the result. This got me thinking about a survey I ran back in December that asked readers if food benefits should be spent on healthy, basic foods or if recipients should be left to make their own decisions. By about a three-to-one margin, respondents voted for further restrictions. Currently, the guidelines only rule out hot, prepared foods (i.e. deli or restaurant food), alcohol and tobacco, medicines and non-food items. But clearly, people’s opinions about individual foods vary. Otherwise, I too, might find casu marzu a gourmet treat or be out on Puget Sound trying to catch a shark to rot in the sand. To illustrate my point, I spent some time on Safeway.com virtually touring the grocery aisles to determine what might be considered healthy and basic. I started in the cereal aisle. Most nutritionists say that beginning the day with cereal and milk and a glass of orange juice is reasonably healthy. On the flip side, how would you categorize a cereal like Annie’s Homegrown Totally Natural Cocoa & Vanilla Bunnies cereal? It’s organic. Totally natural. Would it count as healthy? It is expensive. Safeway.com sells it for $3.50 for 9 ounces ($6.22/pound). 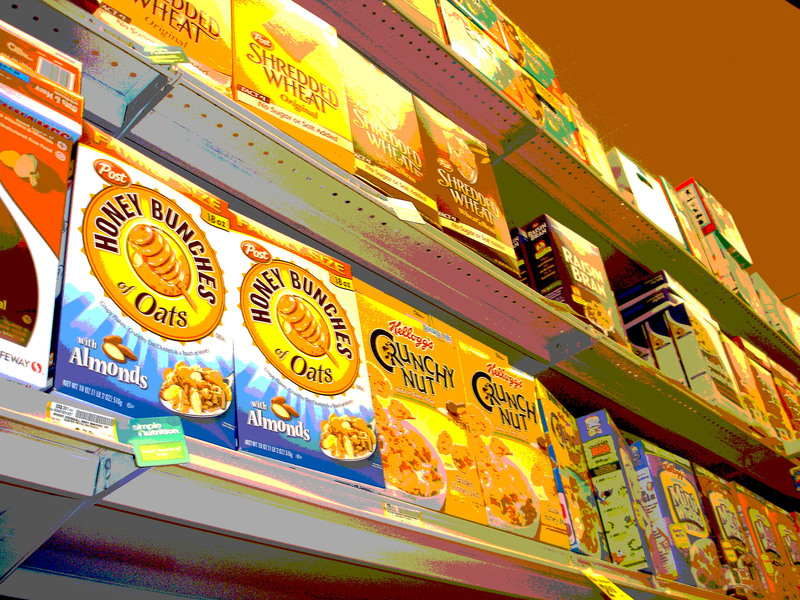 Or how about some other choices that are marketed for their health benefits: Kellogg’s Special K with Red Berries, a 12-ounce box for $6.65 per pound; and General Mills’ Fiber One Original Bran cereal, $5.82 a pound for the 16.2-ounce box. Do we consider these too expensive when other cereals cost less? How do we sort these choices? If we want healthy, do we limit the grams of sugar? Dictate a certain amount of fiber? Say no one can buy cereal with an animal or a monster on the box? And if we want basic, what does that mean? Nothing organic or containing nuts or berries or marshmallows? No spin-off products like Chocolate Cheerios? So let’s try to decide by price instead. Generic Raisin Bran is fairly reasonable. But I could buy Fruity Dyno Bites in a bag as cheaply, and I’m guessing I’d get a few frowns in the check-out line. If the cereal aisle is difficult, the snack aisle is worse. Everyone seems to agree that people on welfare shouldn’t buy chips. But what if they buy baked sweet potato chips? Or Good Health Veggie Stix? Or Quaker Plain Salted Rice Cakes? Are these still too unhealthy? Too unnecessary? Okay, so then maybe we say no one should buy anything they don’t need in order to live. But then what about nuts? Most nuts are a great source of protein and heart-healthy oils and make a good alternative to meat. They’re also expensive. Wouldn’t you wonder if you saw someone buying a big can of Planter’s Peanuts with their food stamps? And so it goes from aisle to aisle. Maybe we can rule out frozen burritos and pizza. But how do we decide about Lean Cuisine Chicken Stir Fry with Ginger Garlic? Or Healthy Choice All Natural Tortellini Primavera Parmesan? Or Boca Vegetarian Organic Burgers? They’re not unhealthy. But they’re not cheap either. Even in the one aisle where you’d think you wouldn’t have a dilemma, the drinks aisle, you run into questions. Soda’s a no-brainer. But what about sparkling water or juices? Too unhealthy? Not basic enough? And what about other juices? Orange juice is healthy. It’s approved by WIC. But what about pomegranate juice? Or orange-carrot-mango juice? Or blended vegetable juice? You can’t say these aren’t healthy (fattening maybe). You can’t say prune juice or apple juice isn’t basic. But would you allow people to spend their benefits on them? In the end, I think a lot of our unhappiness when we see these items in the carts of EBT shoppers comes not from how unhealthy the foods are, or how processed, but from our discomfort with knowing these people are buying food with our dollars. We automatically assume they’re not making the best choices. Otherwise, why would they need our money? We worry they’re buying things we ourselves can’t afford. How many people can purchase steak or pomegranate juice every week? What it comes down to is that no matter what people on food stamps buy, they are getting for free what others have worked long hours to earn. And no healthy or basic guidelines will make that easier to swallow. In reality, the system we have may be the best one. Give people the lowest amount of assistance possible, and that number will ensure reasonable buying decisions. Our own experience has been that the amount is overly generous. Every month, by buying generic brands, no processed foods, no expensive meats and no junk foods, we’ve had money left in the account. From October to January, the unused amount now stands around $1,100, or $275 each month. It helps that the garden provides most of our vegetables, and I realize these numbers vary from area to area and from family to family. We’re blessed to live in an area where groceries are plentiful and reasonably priced. The formula isn’t always as generous for everyone as it has been for us. But I don’t think costly decisions on each food or food category will improve the system. Such micro-management would be difficult and expensive to maintain. The current guidelines are reasonable. Instead, reformers should re-examine the benefit amounts and the qualification guidelines. And I challenge everyone to go to their grocery stores and try to choose which items to include and which to exclude. See how far you make it down the aisles, and let me know if you come up with a workable plan. 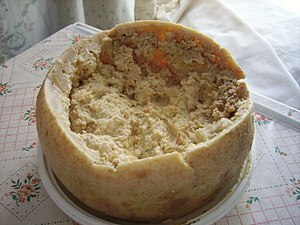 And remember, one person’s necessity is another person’s casu marzu.